As a busy summer travel season approaches, AAA East Central is reminding travelers that a necessity for their trip is about to get more expensive. As of April 2nd, passport fees are increasing – making now the right time for potential travelers to make sure they’re ready for any upcoming international trips. The cost of new passport booklets is slated to increase by $10. New prices will be: Adults $145, Child (ages 16 and under) $115. The $10 increase does not apply to people renewing their passports through the mail. The cost will also increase for passport cards good for travel to Canada, Mexico, Bermuda and the Caribbean. The new cost for passport cards will be $65 Adults; $50 Children. AAA offers assistance with passport applications and passport photos. While applications or renewals are handled by the U.S. Department of State, applications can be picked up at your local AAA office. Additionally, AAA members can have their passport photos taken at a discount rate. Branches can be found at AAA.com/Branches. It can take up to six weeks to get a new passport, so allow plenty of time to secure the necessary documents. 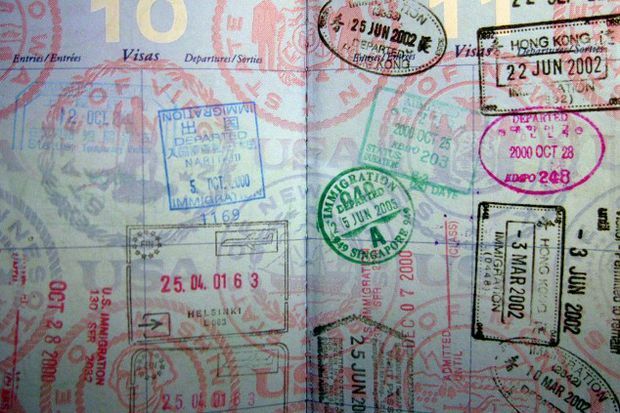 Many countries require that passports be valid for at least six months beyond the dates of the trip. Consult a trusted AAA Travel Agent to ensure you have all necessary travel documents before leaving for a trip. All children regardless of age must have their own passport. There are special requirements for minors under age 16, and for 16 and 17 year-olds. Children under 16 must apply in person with both parents/guardians present or follow Parental Consent guidelines using form DS-3053. Also, 16 and 17 year-olds must establish parental consent. For additional requirements for minors and more information visit http://travel.state.gov. For travelers planning to drive overseas, an International Driving Permit (IDP) may be required. An IDP is also recommended as an additional source of identification. AAA is one of only two private entities in the U.S. authorized by the Department of State to issue IDPs. Travelers should notify their bank and credit card companies’ before traveling internationally to let them know what countries the card will be used in to avoid service interruptions. When traveling internationally, avoid exchanging foreign currency at the airport or train station as kiosks there often charge high exchange rates or service fees. Members can order foreign currency in a variety of denominations at their local AAA office. Don’t want to carry tons of cash? The AAA Visa® TravelMoney Card is the perfect travel companion. This reloadable, prepaid debit card can be used at millions of Visa merchants world wide.